Pictured left to right: "Skull & Glossbones" (dove gray) / "Sparrow me the drama" (light pink) / "Planks-a-lot" (dark lavender) / "Stranger Tides" (a dirty gray) / + China Glaze's "For Audrey" (my favorite polish EVER, a Tiffany blue) on my pinkie nail. I couldn't quite decide on which OPI Pirates of the Caribbean nail polish to buy or try first...so I tried all four from the mini pack (bought at Ulta for $13, but is around $10-13 on Amazon). I honestly just really wanted the gray shades, but when I saw them all packaged together, the pink and purple started to look good too. The only thing that irked me was that the mini pack didn't come with the much coveted Mermaid's Tears shade, a sweet aqua green color. There's even a silver shatter polish that looks really cool (about $8-9 on Amazon), but according to reviews, it doesn't shatter very well. 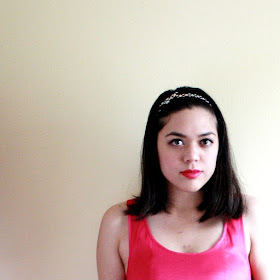 The colors are very cute and pastel (mom & sister said they look like "Easter eggs"), but the opacity wasn't very good. It took me about 3-4 coats of each shade to get it completely solid and opaque (except for China Glaze's "For Audrey", which only took 2 coats). I finished it off with some nail stamping action (it's getting easier! ): a black swirly floral design. All in all, I like the collection, but not as much as the Alice in Wonderland line that came out last year (oh, the reds and the glitter!). The grays were my favorite in the set, but the pink and purple colors weren't exactly groundbreaking, so I suggest just buying the individual colors you really like (around $7-8 each). 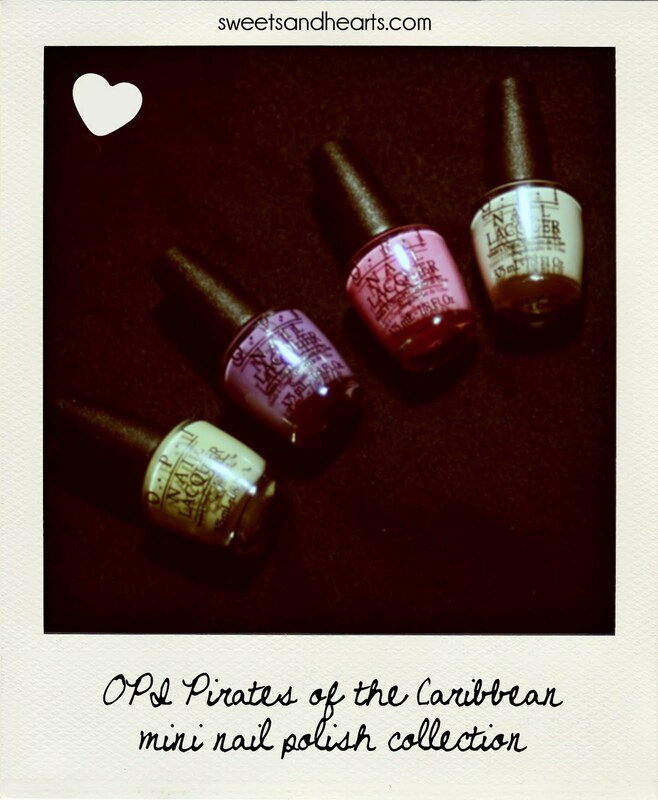 So how do you like OPI's new Pirates of the Caribbean collection? 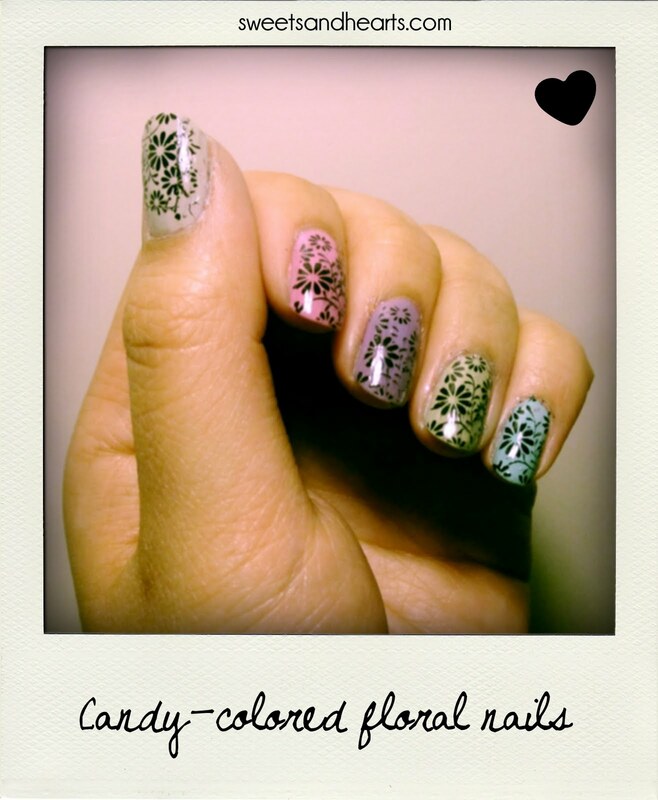 Is it something you'll be sporting on your fingernails anytime soon?